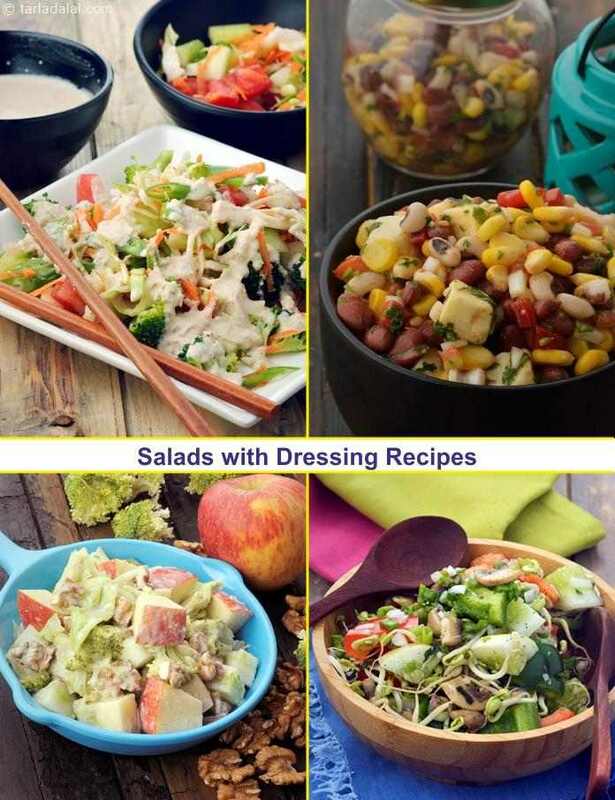 When a dressing is added to a salad, it always spikes up the taste and transforms the salad into a fun and fervent experience. Try your hand at international bestsellers like the Russian Salad and Fattoush, and discover the magical effect that ingredients like curds, cream, olive oil, herbs and spices have on those veggies and fruits! Try Cherry Tomato and Methi Salad, Black Eyes Bean Salad. The flavour and texture of the Russian Salad is quite different from the standard salads, as it uses parboiled veggies rather than raw ones. When cooking the veggies, ensure that you do not overcook them – because the vibrant colours and crispness of the vegetables have to be retained. Combining such perfectly cooked veggies with canned pineapple gives the salad a sweet and tangy flavour, while dressing it in mayonnaise and fresh cream adds to its lusciousness. Serve this salad chilled, to enhance the flavour and crunch.